GOLD COAST, Australia — Kingston, we have a problem. 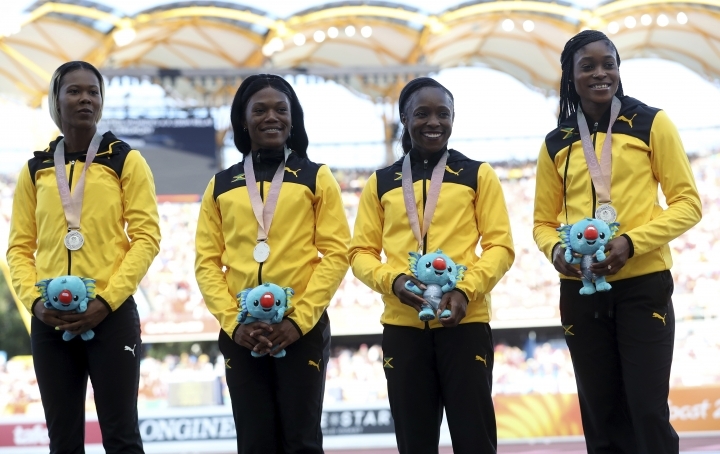 A Jamaican track team featuring the world's fastest active sprinter and the women's Olympic 100- and 200-meter champion didn't win a gold medal in the sprints at the Commonwealth Games. After Yohan Blake anchored Jamaica's 4x100-meter relay team to bronze on Saturday, Usain Bolt took to social media to openly question if he'd retired too early. Bolt, who is in Australia to support the Jamaican team, is the only man to have ever run faster than Blake, who has a personal best time of 9.69 in the 100. Before the Gold Coast games, he joked that Blake may not want to return to the Jamaican capital if he didn't win gold. "He's going to trouble me a lot because he expected me to get the gold in the 100," Blake said. "I slipped at the start and I couldn't recover. "I was in record-breaking shape, and I'm still in that, but, ahem, I'm going to hide from him when I get back home." In the 100, Blake took bronze behind South Africans Akani Simbine and Henricho Bruintjies. 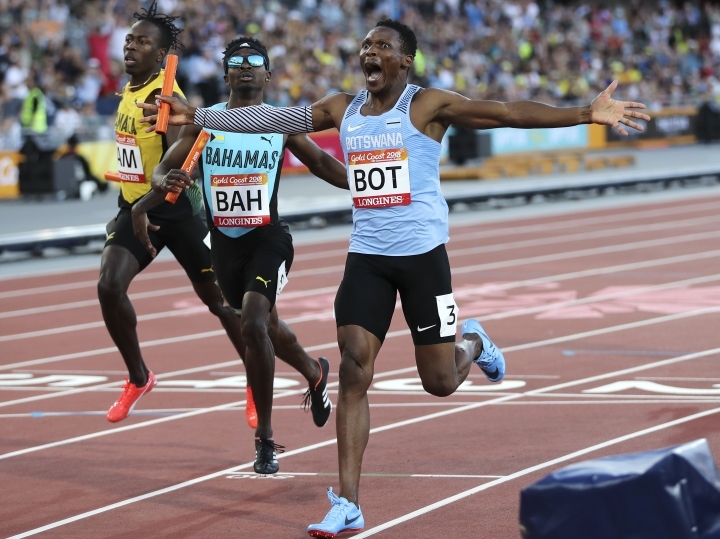 In the relay, he ran the anchor leg and made up some ground but couldn't catch the gold medal-winning England team of Reuben Arthur, Zharnel Hughes, Richard Kilty and Harry Aikines-Aryeety, which won in 38.13 seconds, or Simbine's South Africans. "I ran like a rabbit!" Aikines-Aryeety said of his anchor leg. "I knew I had the second-fastest man of all time behind me, Yohan Blake, and the 100-meter Commonwealth champion, Akani Simbine, behind me. I stayed focused and aimed for the line." England also won the women's 4x100, in 42.46 seconds, with Lorraine Ugen just hanging on to edge Elaine Thompson's Jamaican team by 0.06. Nigeria took bronze. 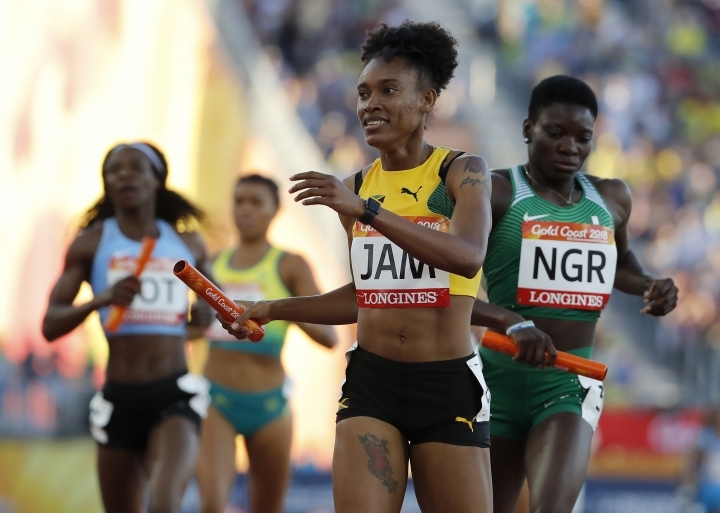 Thompson won the 100-200 Olympic double at Rio de Janeiro in 2016 but only ran the 200 here, missing out on the podium when she placed fourth in a race won by Olympic 400-meter champion Shaunae Miller-Uibo of Bahamas. The Jamaicans won 10 gold medals at the Commonwealth Games in Glasgow four years ago — including the men's 100, 200 and 4x100 relay and the women's 4x100 — and six Olympic golds at Rio in 2016, including Bolt's wins in the 100, 200 and 4x100 relay and Thompson's sprint double. 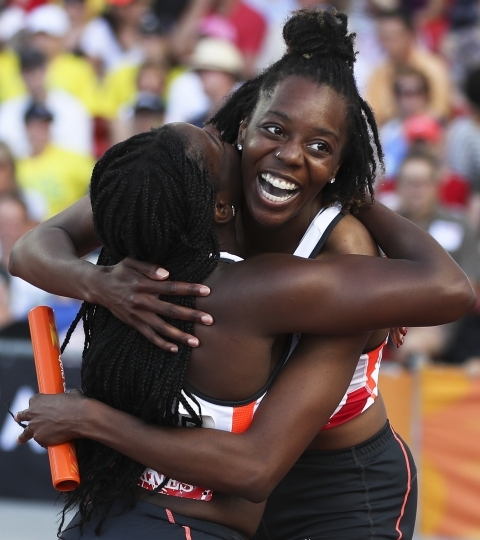 On the Gold Coast, Trinidad and Tobago won more gold medals in the shortest of the sprints, winning the women's 100 and the men's 200. 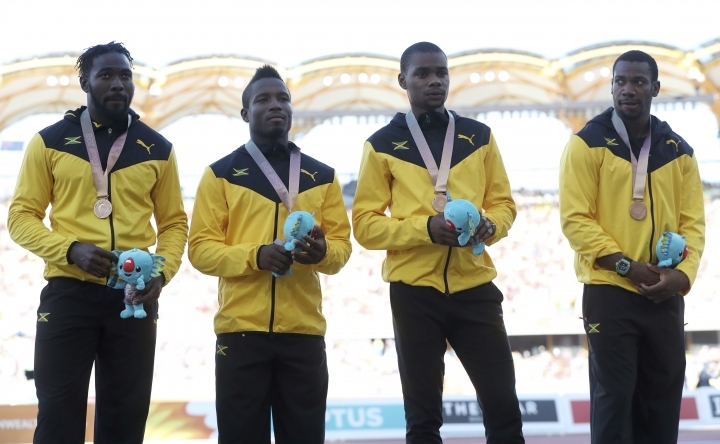 Blake said the post-Bolt Jamaican team just needs some time to find its rhythm. "We're going through a transition period," he said. 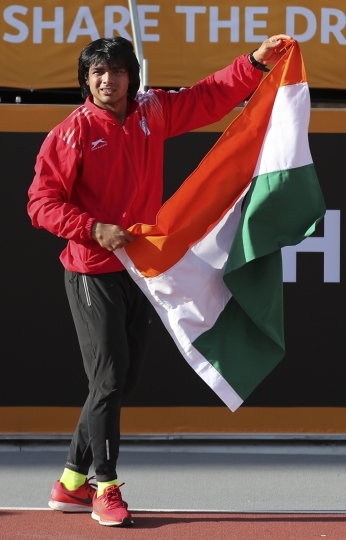 "We were dominating world-wide, and coach is working to get me back to that level so I can dominate again." Bolt was a once-in-a-lifetime athlete, Blake said. 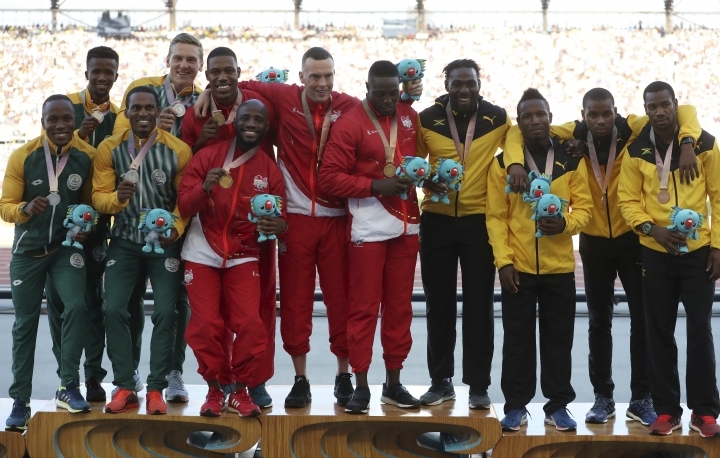 "To be honest, I'm not going to lie, it's not they're getting better — it's we're not performing," Blake said of the gap between Jamaican sprinters and the rest of the world. "Because if we were performing with the times we're running, they couldn't stay with us." 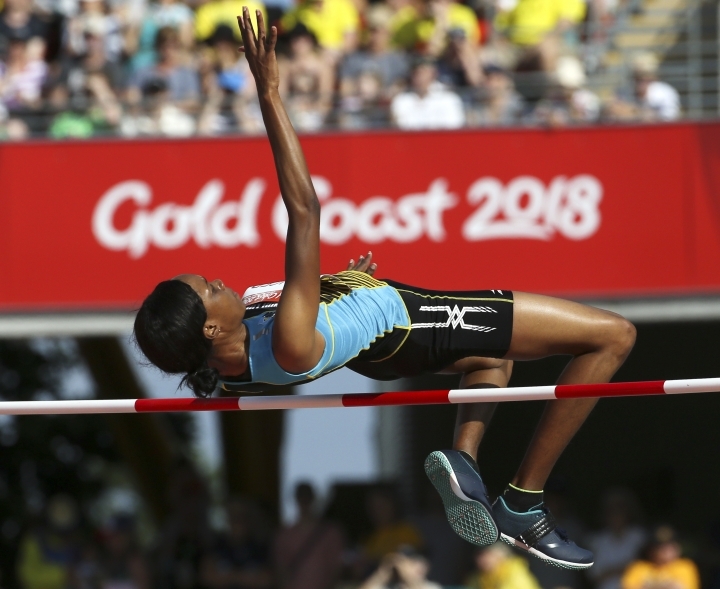 The Jamaicans finished with seven golds on the Gold Coast, including the women's 3,000-meter steeple chase, the women's shot put and triple jump and the women's 4x400 relay, which was the penultimate event on the track program. 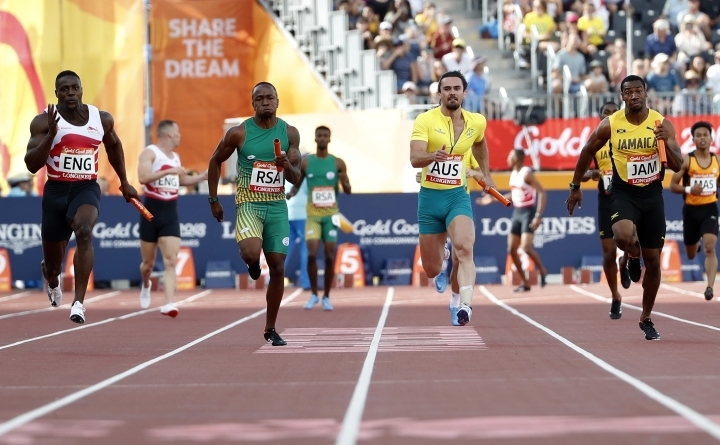 Australia topped the track and field standings with 10 golds, including field events, the 20K walks and four para events. England and South Africa had five gold medals. 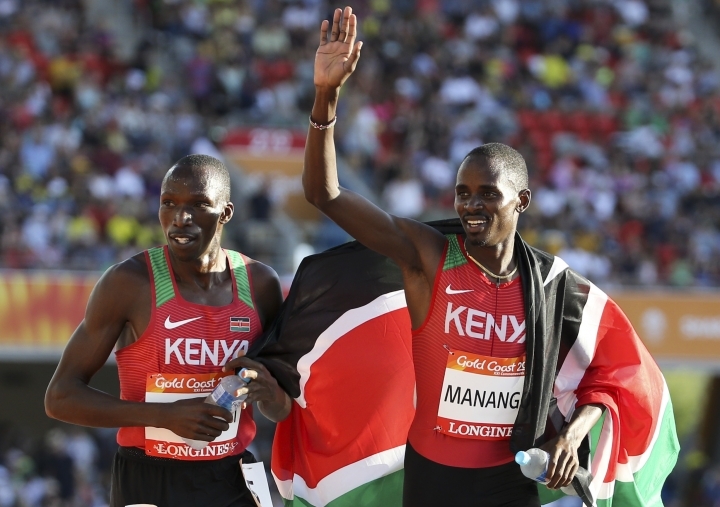 With marathons still to come Sunday, Kenya had four golds and Botswana had three, including the last on the track which Isaac Makwala's 4x400 relay team celebrated with a group session of push-ups. 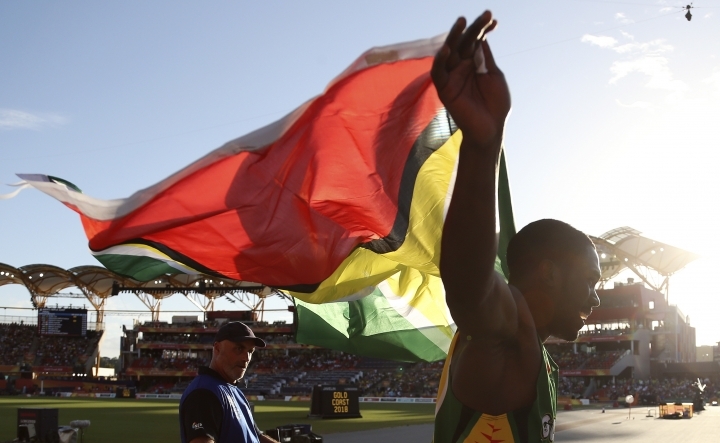 — Troy Doris of Guyana won the triple jump in 16.88 meters, two centimeters clear of Yordanys Duranona Garcia of Dominica and eight clear of Cameroon's Marcel Mayack. 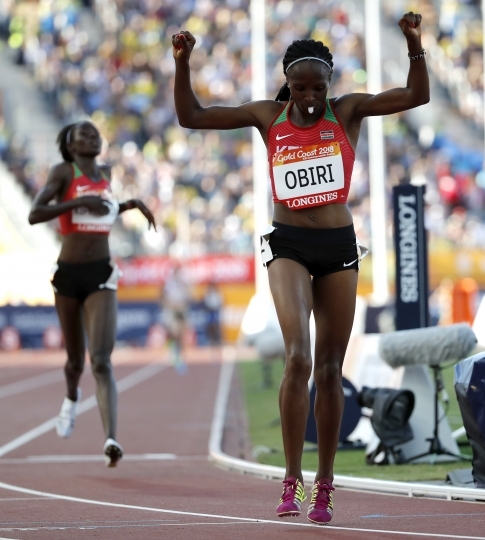 World champion Hellen Obiri won the women's 5,000 meters in 15 minutes, 13.11 seconds, holding off teammate Margaret Chelimo Kipkemboi, and Elijah Motonei Manangoi won the 1,500 in 3:34.78 from Timothy Cheruiyot.